Automating your LinkedIn networking and marketing builds a resource of leads more easily and faster. 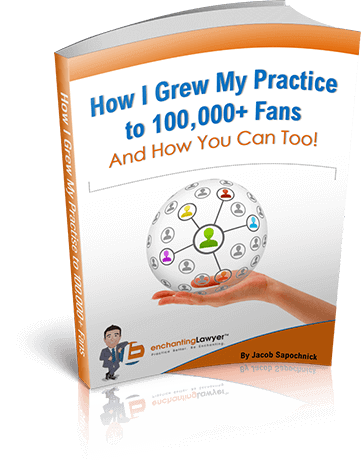 Attorneys with a bit of modern web marketing savvy can employ the latest social selling automation technologies externally designed for use on the LinkedIn platform, to funnel thousands of LinkedIn user contacts into your practice’s pipeline for development of new client leads. 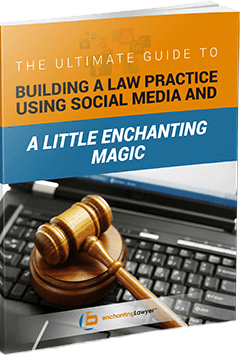 These automation tools can help law firms increase visibility on the social platform and automate our lead generation and cultivation processes. The following Do’s and Don’t are offered to help you make the best use of automation tools in your LinkedIn marketing efforts. Rapportive — This tool interfaces with your Gmail inbox and extracts all associated LinkedIn profiles, websites, and Skype, Twitter, or other online accounts tied to the email address. Rapportive allows you to send personalized LinkedIn connection requests from your Gmail inbox. Rapportive is an excellent tool for efficiently generate leads and digitally disseminate your content to build your marketing network on the LinkedIn platform from the convenience of your Gmail account. Rapportive is a free Gmail add-on, and it installs with Chrome or Firefox in only a few seconds. 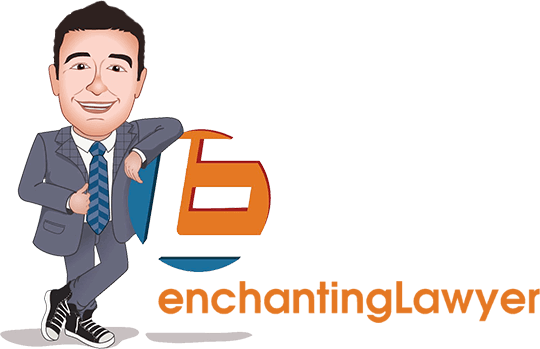 Do Use Lead Generation Tools. LinkedIn Profile Visitor and Dux-Soup — Both of these have tools that drive LinkedIn members to send you connection requests. It’s LinkedIn Automation tool auto-visits profiles you choose to auto-visit (by selecting them from LinkedIn’s Advance Search by uploading them from Excel. When users discover an entry on their list of Recent Profile Visitors, most of us are inclined to check the identities of our visitors. When they see your identification, and if you’re relevant to them, a high percentage of those are likely to send you a connection request. Dux-Soup Automation — This valuable tool enables you to auto-export .csv files into Excel or other spreadsheet programs, in order to build an information and electronic mailing resource including every LinkedIn profile you’ve viewed within any given period. Imported file contains names of people whose profiles you’ve visited, job titles, company names, locations, email addresses, phone numbers, and more. Many hours of manual data entry are saved by this simple export method of auto-tracking all of your LinkedIn activity. The price is $15 per month. Linked Helper Chrome Extension — Use this tool to automatically send messages to certain LinkedIn connections. Curate your content carefully as well as your list of recipients. And, limit the number of these private messages you send in a given period. Think in terms of using this automated process only for sending communications you would have taken the trouble to prepare and send manually. This can be a significant time-saver. Do Automate Marketing and Networking. Linkedomata — This tool set offers several features. Search: Linkedomata’s LinkedIn Automation search and invite tool reaches profiles you target on LinkedIn. This tool enables you to easily search potential customers’ LinkedIn profiles, and you can automate LinkedIn to send hundreds of connection requests with just a click. That will expose any content you post on LinkedIn about your services to all of the potential clients you can connect with. Tagging: The Automatic Tagging function automates LinkedIn’s tagging process. This allows you to compile selected first-degree connections and place them in a segment. Messaging: Automate LinkedIn Message is a smart messaging operation that easily identifies first degree connections under the single tag or multiple listed tags and enables you to send those select connections either personalized or general group messages with a click. This feature can save many hours that would otherwise be necessary to execute this process. You can send an unlimited number of messages to your first degree connections, even without having a premium level LinkedIn account (like Sales Navigator, Recruiter Lite, or Business Plus. Don’t Auto-Add All Connections To Automated Email. Refrain from adding everyone with whom you connect to your automated emailing list. Users who did not request to receive your emails may view and even report yours as spam. Many users are already signed up for more newsletters than they can read. Presumptively auto-adding them to your emailing list may not only motivate them to unsubscribe, but also disconnect from you in LinkedIn, and maybe even report you. So, be sure to ask people to opt in to receive your communications, if you want to drive traffic to your website or your office phone through Linked via your auto-email marketing process. excessively invite members to connect with you. excessively send messages to your existing connections. Don’t Automate Too Many Processes On LinkedIn. Several behaviors can cause your LinkedIn account to be restricted or even forcibly closed, including duplicate accounts, inappropriate content, or using verbiage other than your last name in the last name field. One of the most common reasons people find that their LinkedIn accounts have been restricted is due to using an excessive number of automated processes simultaneously on the platform. 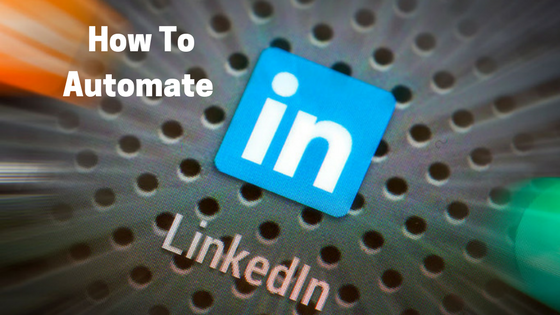 Don’t Over-Use Processes You Automate on LinkedIn. Autopilot and DuxSoup — The automatic profile visiting tool in both of these applications is designed to motivate LinkedIn members to send you connection requests. It’s LinkedIn Automation tool auto-visits profiles you choose (by selecting them from LinkedIn’s Advance Search by uploading them from Excel. At least one experienced user reports briefly using Autopilot without any issues, and noticed a significant spike in numbers of profile viewers and invites to connect. But there are also reports of people whose accounts have been flagged by LinkedIn for similar activity. Don’t Neglect to Provide Recipients With Choice To Opt Out. LinkedIn auto-emailing can be a very effective marketing approach. But, only if you use it conservatively, and use curated content and emailing lists. The LinkedIn platform can be used to drive prospects to your emailing list for auto-marketing, but it can drive as many away unless you provide people the choice and means to opt in and opt out. Overlooking this critical piece puts your email marketing initiative at risk of being shut down, or worse, by the social networking platform. In the long run, the priority should be to avoid risks of having your LinkedIn account restricted or forcibly closed due to misuse. You can be blacklisted, or even sued. So, use automation tools in moderation, to enjoy the benefits of LinkedIn lead sourcing for years to come, without incurring the predictable consequences for feverishly over-mining the resource. The goal of automation is to work smarter, not harder. It doe snot replace human interaction but it can help you be consistent and stay relavant. Have we connected yet? Let’s connect! Click here to connect with me.